Have you ever felt when reading a book that you can’t put down, that it’s just so exciting that you can’t wait to get to the next chapter? That is exactly how we have felt for the last six months! 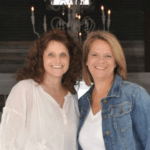 At Bungalow 47, we’ve had many changes happening and we wanted to share with you the inside scoop, as we have many who have called and inquired, sent emails and messages, just wondering what the deal is! 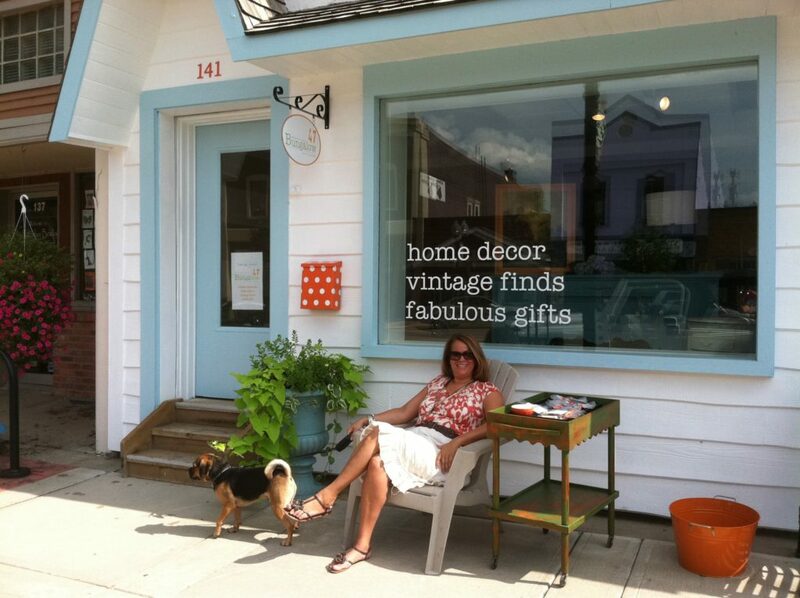 Just to wander down memory lane a bit, Bungalow 47 started out as a unique retail store over 5 years ago! 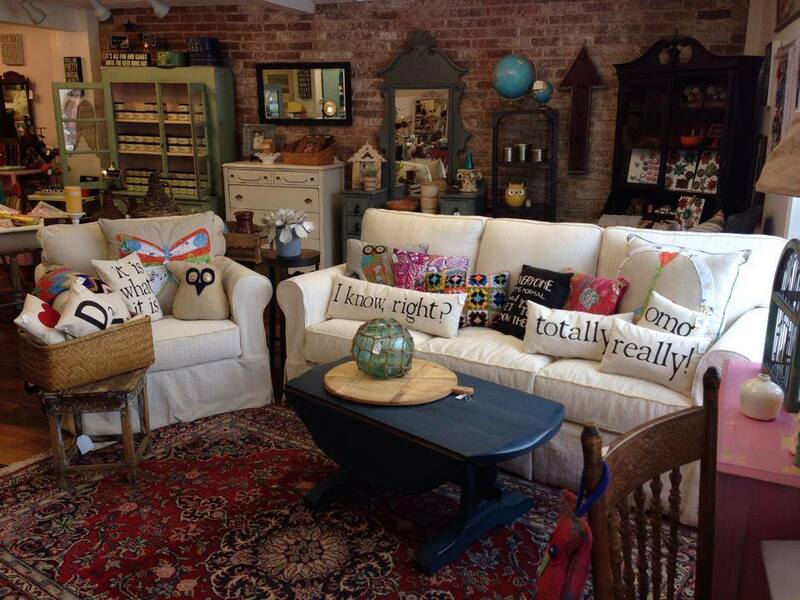 Located in the cute downtown of Williamston, Michigan, we offered vintage finds, fabulous gifts, home decor, and painted furniture upcycled with a chalk type paint. 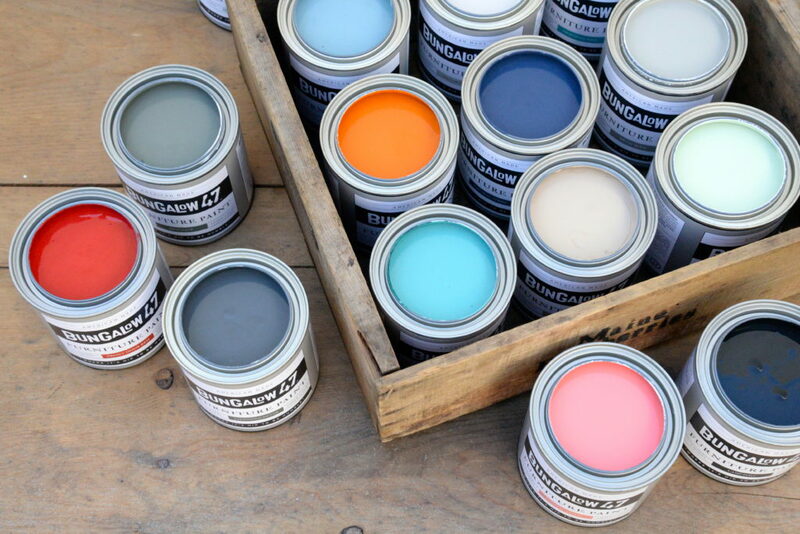 We began selling paint and before long, we were distributing paint products to other retailers around the country. 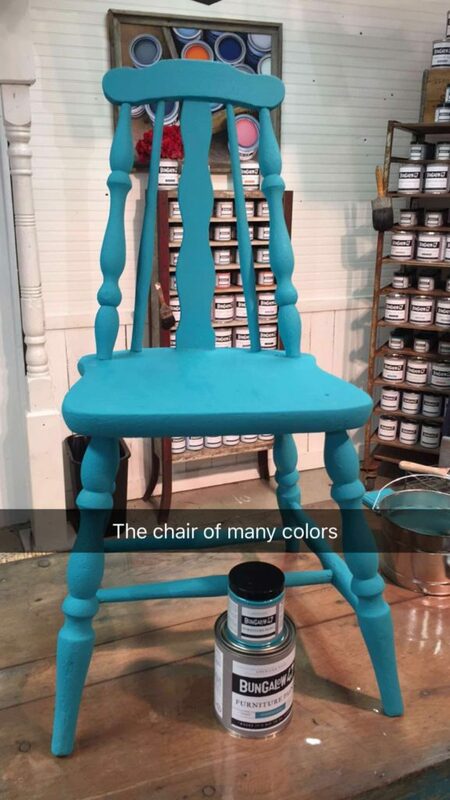 As the market grew and companies were having growing pains, we dove deeper into the paint world to learn as much as we could and soon developed a chalk and clay paint to our specifications (made here in America) that would be easy and safe for the masses to use. 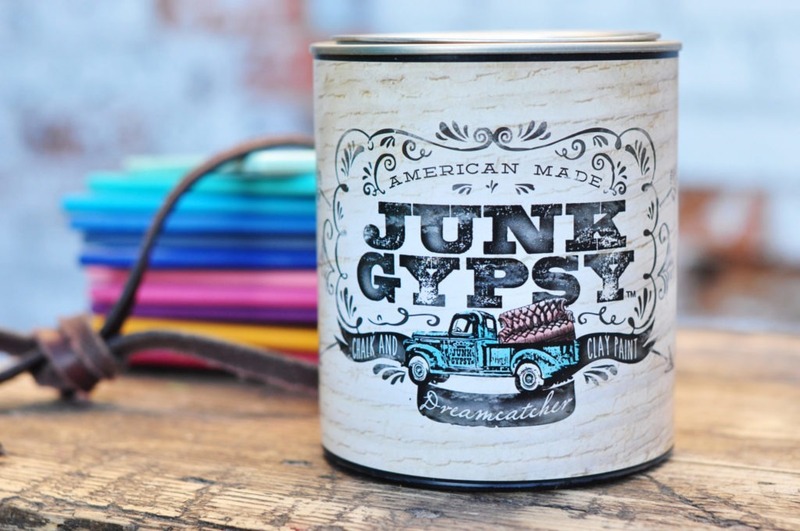 We began offering Junk Gypsy™ Paint in collaboration with designers Amie and Jolie Sikes of The Junk Gypsy Company, with a signature color palette the Junk Gypsy™ designers selected and are known for. 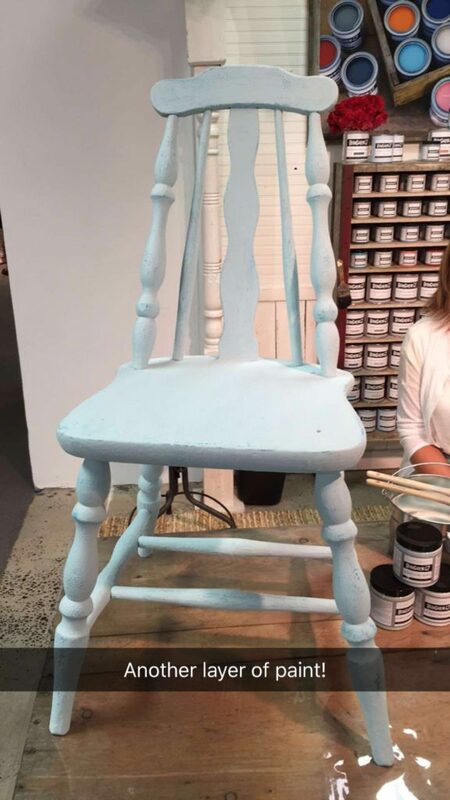 Soon after, Rachel Ashwell Shabby Chic® Paint colors were added to supply the marketplace with the soft pastels everyone was craving. Our business was growing and we needed more space, so we moved the retail store across the street to a slightly larger location and changed our old store into office space, with the warehouse in the back. The last 18 months have been devoted to the manufacturing and marketing of both of these designer paint brands. As the spring rolled around, we had been slowly growing out of our warehouse space (in the building we own, where the original store was) and our lease was coming due on the store location across the street, along with a studio next door that we had taken on. We tried desperately to find a building where we could all be under one roof, our retail shop along with our warehouse and distribution business. When we were unable to locate the right spot, and we were wondering what to do, something interesting happened. 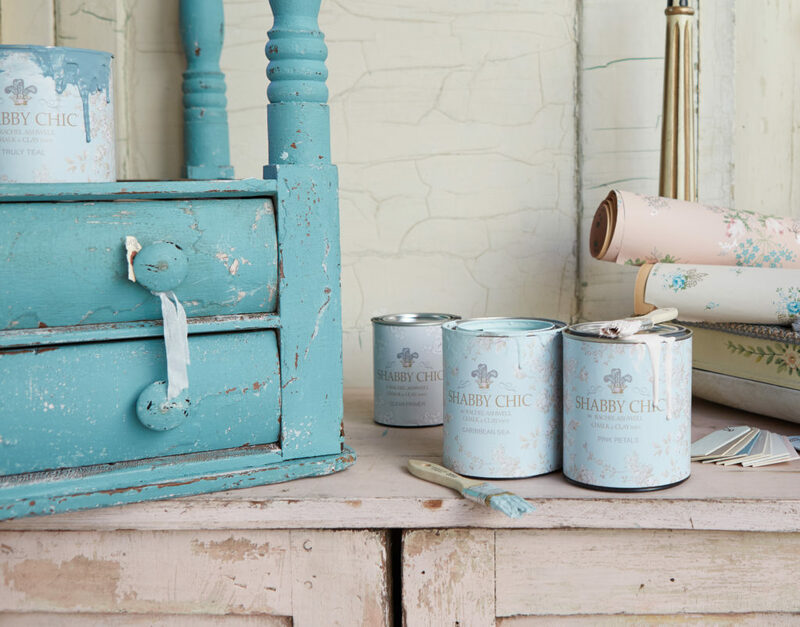 The sales numbers came in for our paint and we noticed, out of all the 250+ retailers we sell paint to around the country, Bungalow 47 was the number one selling boutique of the chalk and clay paint. In our quaint town, without being in a big metropolitan area, with the help of our amazingly well-trained staff, consumers came from far and wide to buy the paint! We realized it was time to share our knowledge and help our retailers purchasing paint from us find success in their businesses too. As we made the decision to focus on this side of what we do and close our shop, we were excited to still be able to offer a bit of what we brought to our local town within a new store that will be opening this fall in our original building. 141 Designs (owned by a family member) will be offering the paint for sale, along with painted furniture from Bungalow 47, while bringing some new life with the amazing things they do. We will now have the freedom to grow our paint business and to use all of our creative juices in that direction, while still knowing that what we built within our community will continue on. To begin the next chapter, we moved to a bigger warehouse that was in a neighboring town which provided space to grow and a dock for our constant shipping needs. We now have private office space, a prop closet, studio space, conference room, a small amount of hoarding space (we always need a lot more, but our business hoarding days are over), marketing and planning areas, storage for boxes and supplies, and a large warehouse to grow in. Since we support all the marketing for the Bungalow 47 Furniture Paint line, which was released early this year and sold to small paint stores in a tintable version, along with the retailer support and distribution for Junk Gypsy™ Paint and SHABBY CHIC® by Rachel Ashwell Chalk and Clay Paint, we are grateful to have the creative space to spread out and run our business. 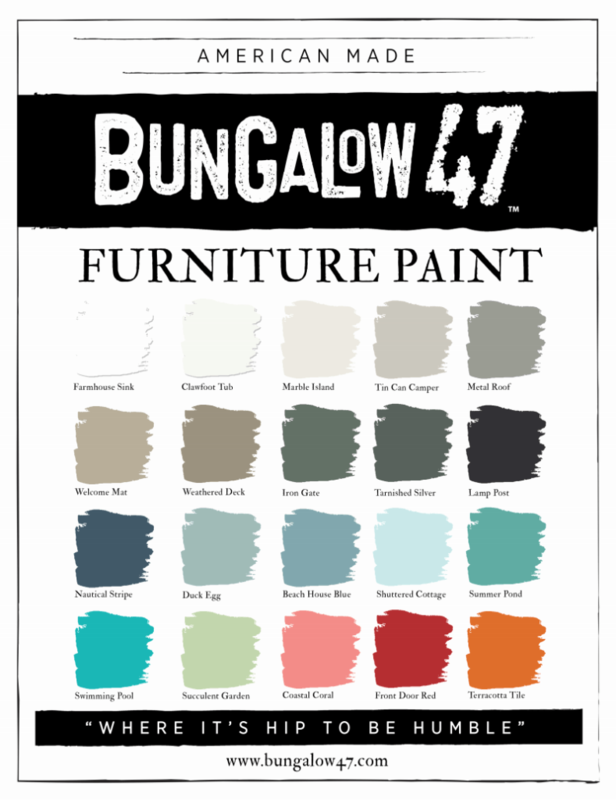 Another page turning in this chapter is bringing our Bungalow 47 Furniture Paint to the boutique market as well. 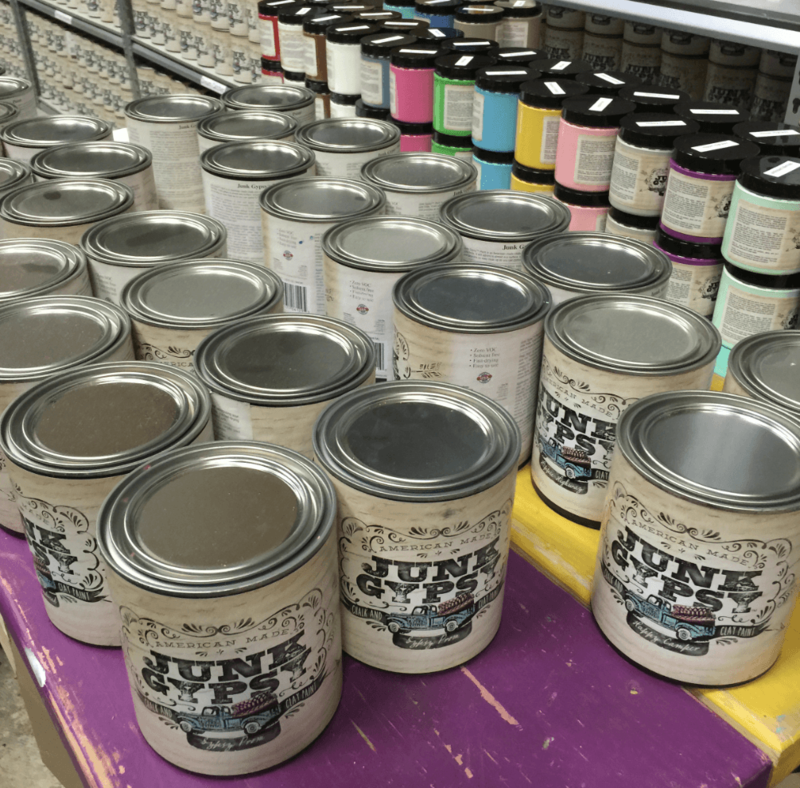 We saw a need for another color pallet to be added to our offerings, and we are excited to take that next step to providing more colors in our amazing paint to the consumer through wonderful boutiques around the country. 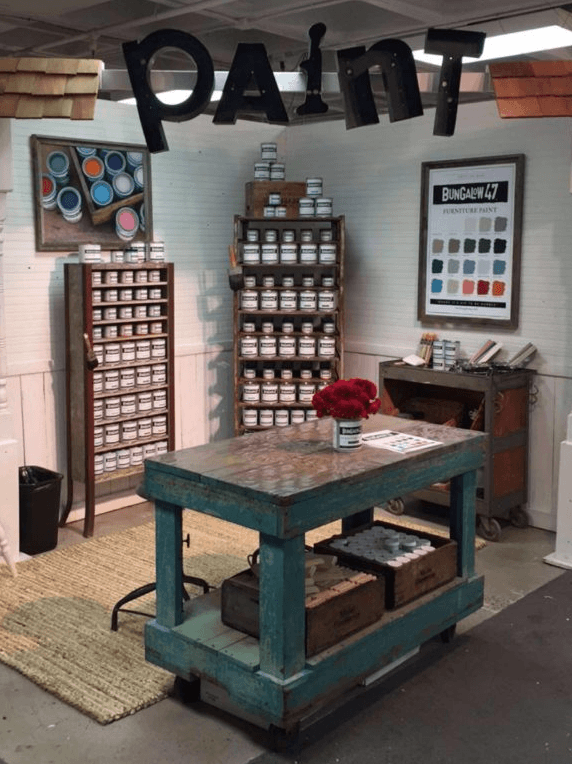 We attended a trade show in Atlanta this summer and shared our paint with the masses. One of the things that has always been exciting for us is working with women in business. 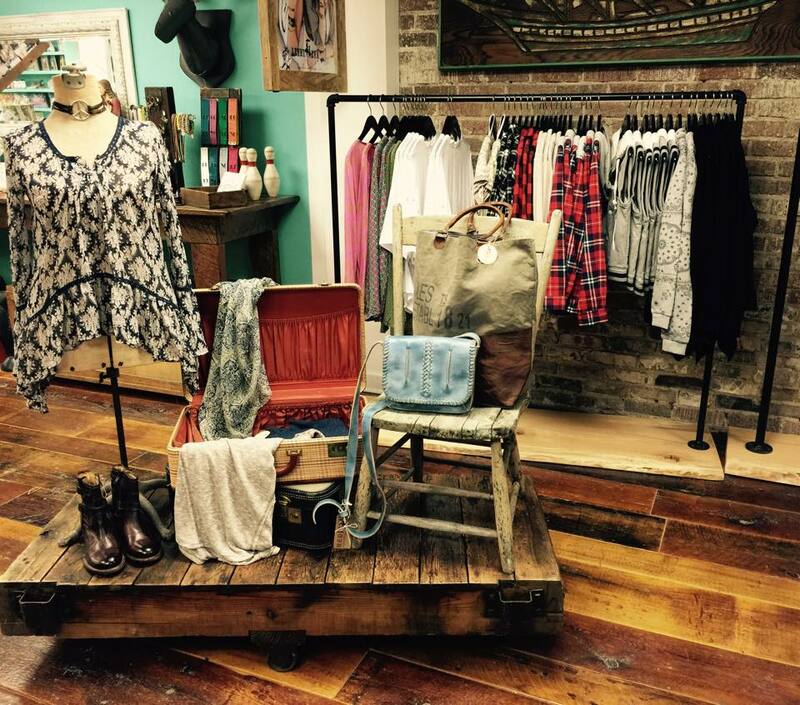 Most of the stores we sell to are women based businesses, living their creative dream through owning a shop that offers unique items and good products. It is so important for us to be able to provide a consistent, quality product, offer personal and exemplary customer service, and share ideas for ways they can grow their paint business. We understand the struggle and needs in a boutique business because we were that style shop and know what challenges are faced. 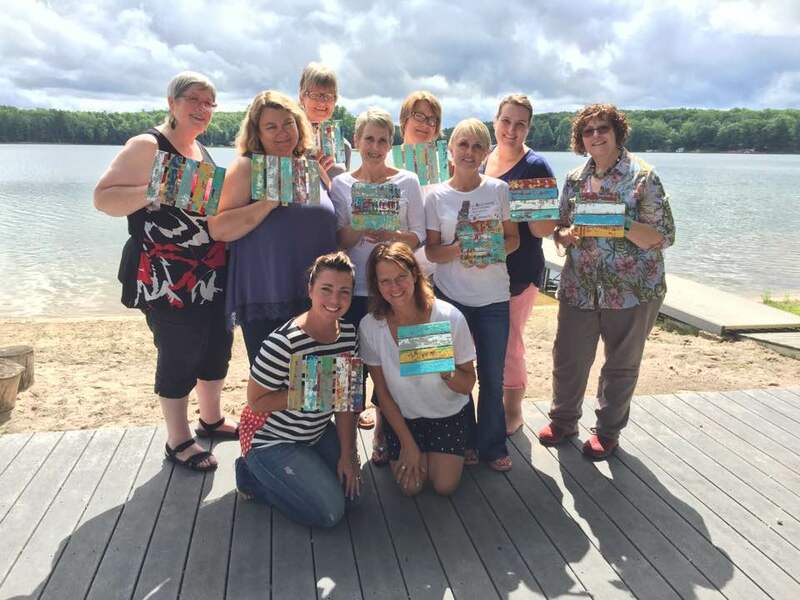 We relaxed briefly after the move to the new place by heading up north with a group of paint retailers that flew into northern Michigan for a retreat where we could share successes and ideas about growing their businesses with the paint. It was the perfect intimate format to connect and we look forward to hitting the road and planning more meetings around the country where our retailers can learn, share, and dream big for their own futures. We always want to facilitate growth, daring to stretch to new heights and learning each new day. We have been so blessed with good families, have an amazing support team in our personal lives that allow us to work hard, and love connecting with creative people everywhere who share the vision of making others better and living out their creative dreams. We are grateful for the good companies we have to work with, from our manufacturer, suppliers, brands for who we have licensed contracts with, down to our logistics companies and local businesses who make our lives easier (and more delicious – shout out to our local Qdoba). The next chapter is here, we are living it and loving it, and can’t wait for the next turn of events. It’s always exciting and never a dull moment, and we have to say whatever comes next, with all it’s twists and turns, we love our story! If you have any thoughts or comments, we’d love to hear from you! We have so many great memories of the store and the people we have met there, and know there is much more ahead for us to experience. Thank you for following us! 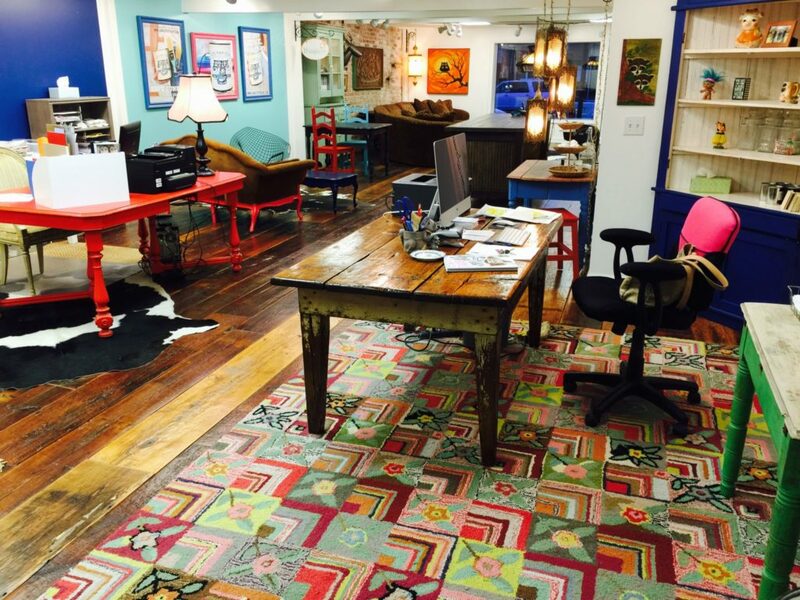 If you are a retailer and would like to carry Bungalow 47™ Furniture Paint in your shop, apply here. I absolutely love the idea that you can custom tint a color for me!!! It is awesome that the paint shops that carry our brand can tint a variety of colors! We have 47 designer color suggestions, but many more can be tinted to your liking! 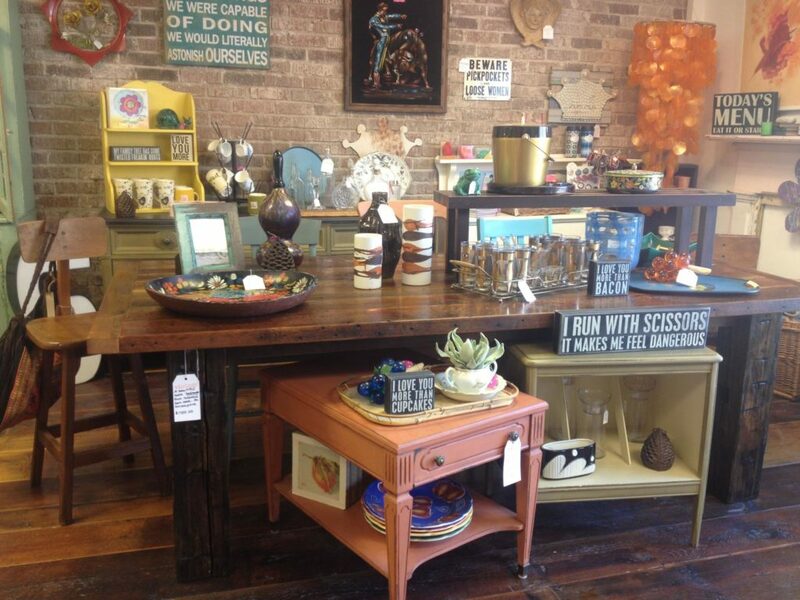 I purchased milk paint from your original store early on and purchased gift items and brushes at the new store. 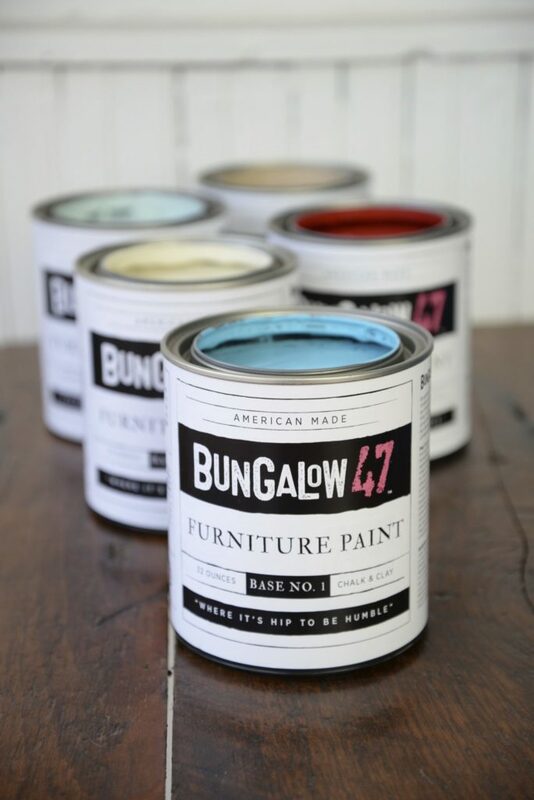 Besides the beautiful colors of the Bungalow 47 paint line I see in the photo above, what other benefits are there to Bungalow 47 furniture paint to other chalk paint? Thank you, and congratulations on this new chapter. I am happy to spread the word and support more local and women businesses. Connie, Thank you for your question. 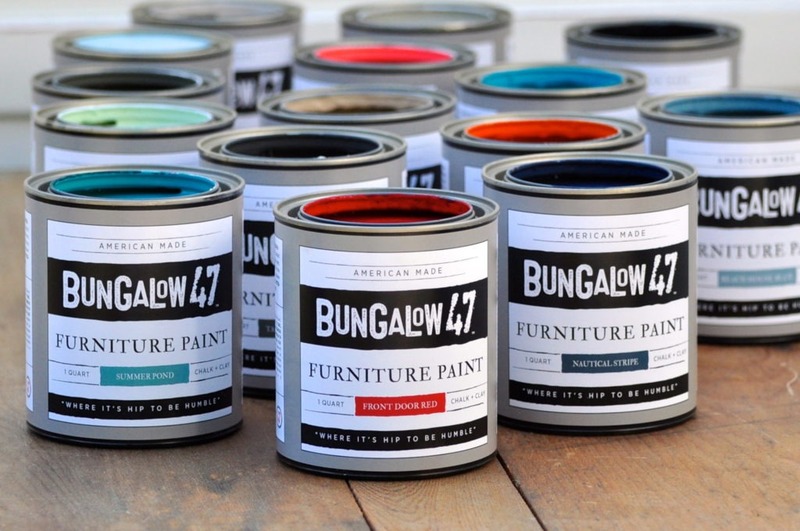 Bungalow 47 Furniture Paint is American-made, zero VOC, and solvent free. It adheres to a variety of surfaces and dries quickly. What you will find when using our paint is a smooth paint that is fast-drying but also does not require a finish to seal it. Our paint will harden and cure, and if you do not need protection for a high usage piece, you can just buff the paint with a dry towel to create a lovely matte sheen and be done! Of course, our Matte Finish is the perfect choice when needing more protection on a highly used surface. Simply wipe it on with a terry staining pad! Thanks for clarification – it’s exactly what i’ve been searching for my re-purposed furniture pieces. Feeling thankful I am close to your home base. All the best in your continued business growth. Can your paint be used on fabric? Yes! 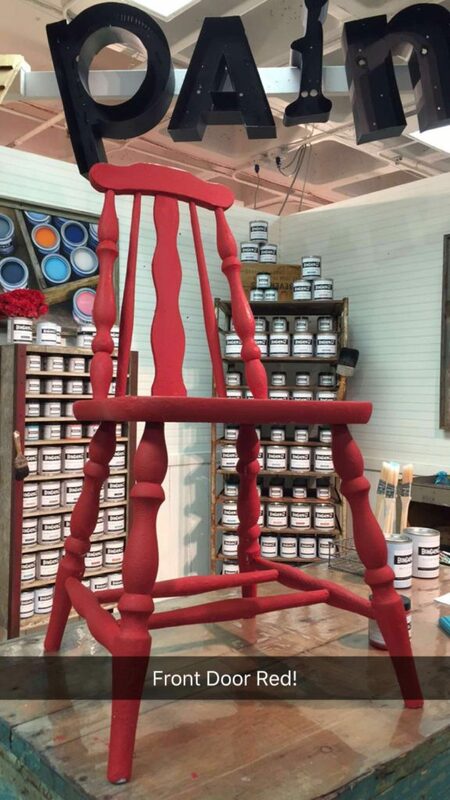 You can paint fabric using Bungalow 47 Furniture Paint. Hello and congrats on your continued growth! I visited your shop in the early days and loved it! Can your paint be used on floor tile? It’s a basic ceramic or porcelain tile in a matte finish in my small bathroom. I want to change it from taupe to gray. Would I need to put a protective finish over the paint? I was also wondering what is the difference between the B47 paint and Junk Gypsy? Thank you! Hello and thanks for writing! The only difference between the B47 and Junk Gypsy Paint is the label. Both brands of paint are manufactured by us. As far as painting tile for a bathroom, due to all the water and moisture, it would be best to use a tile specific paint for this process which would allow for all the continued dampness and cleaning that takes place in this room.